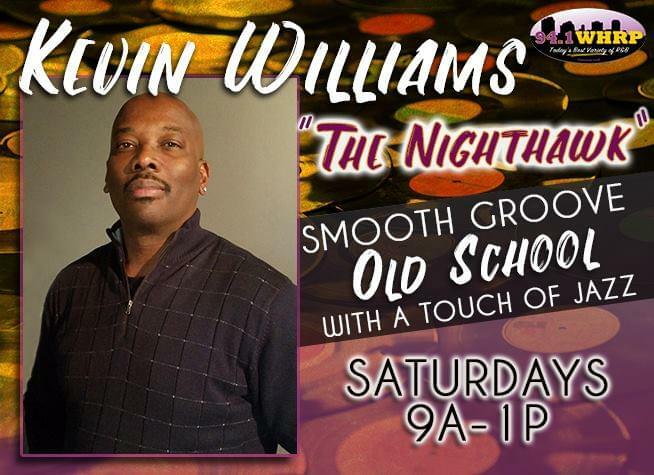 WHRP “Saturday Smooth Groove” With Kevin Williams “The Nighthawk”! Kevin Williams “The Nighthawk” returns to Saturdays from 9a-1p with the WHRP “Saturday Smooth Groove”! The Saturday Smooth Groove gives you a mix of traditional Old School Jams with a touch of the Smooth Jazz songs that The Nighthawk is best known for included in every hour, plus listener requests, entertainment news, information and more! “The Nighthawk” has your chance to win tickets to the NFL Draft Music And Food Festival starring Morris Day And The Time, Too $hort, Doug E. Fresh and more – April 25-27 in Nashville! Keep listening for your chance to win, and fill out the entry form below for even more chances to win! Enter To Win With The Nighthawk Kevin Williams - Weekend Tickets To The 2019 Nashville Draft Music And Food Festival!